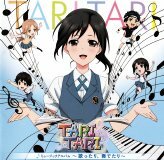 This two CD set contains BGM and vocal tracks for the TV anime Tari Tari. 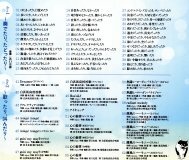 The first CD contains 40 tracks of BGM. The second CD contains around 20 vocal tracks. 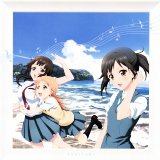 Songs by Takagaki Ayahi (高垣彩陽), Seto Asami, Hayami Saori, Shimazaki Nobunaga, Hanae Natsuki.